This multi-sensory music, singing and activity resource picked up an Innovator of the Year Finalist Award in the Herald Business Awards for being one of the only resources of its kind. It was created in conjunction with children and staff from 5 Special Schools in Plymouth so it's tried and tested - and much loved by all who use it. 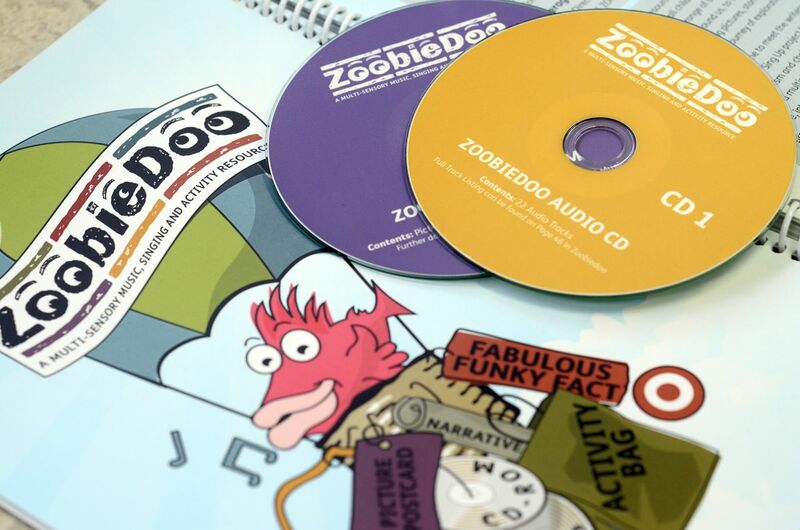 You can buy Zoobiedoo directly from PMZ or from other retailers like Waterstones and Amazon. Check out Amazon's Search Inside function to take a closer look or listen to the sample of one of the songs from the resource below. PMZ also offers tailored training so feel free to get in touch. 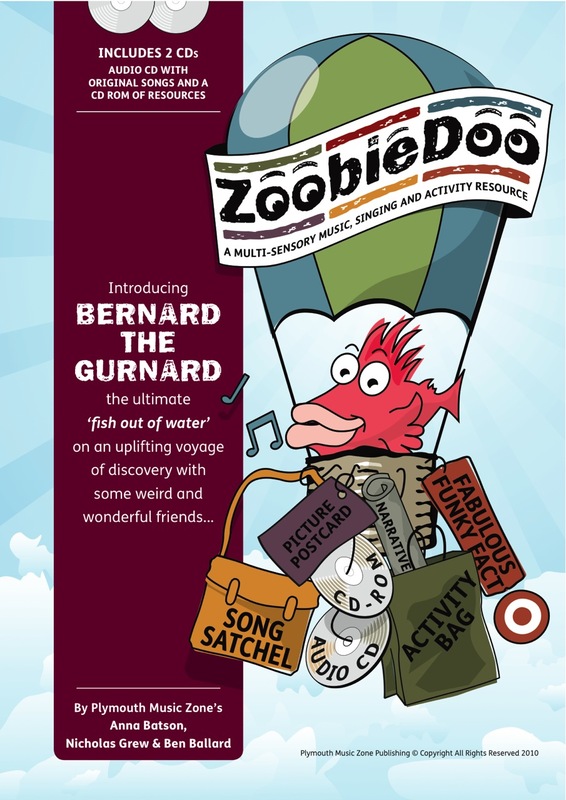 Song sample from ZoobieDoo - featuring Bernard the Gurnard. Coming soon! "There is a lot of sophistication in this music despite it being fun. I like that this is an excellent springboard for teachers to use." This resource is fresh and new - I can see how useful Zoobiedoo will be when we wish to extract different elements out of the overall resource and relate them to our different projects and contexts. It's helpful but not too prescriptive, which is exactly what we need." "A little girl in my class returned after half-term break and on hearing a song from Zoobiedoo, immediately began signing and doing all the actions we were using associated with the song. Despite being unable ti use her physical voice, this little girl was still able to comprehend and enjoy the music. This amazing response brought me to tears and I've been teaching here for 20 years! What was so beautiful was that this showed us the potential that's within the child, which we can then work with and develop."